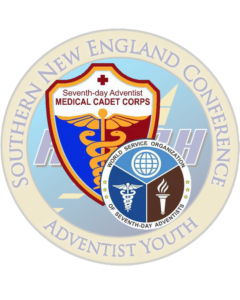 The Medical Cadet Corps is a ministry for youth and young adults from ages 16 and over. They are trained to serve God, their neighbors, and the community, especially in emergency, rescue and disaster response. Waterbury, Lawrence, Boston and Marlboro. b. Having all the cadets certified at least on CPR. c. Have the first MCC’s Camporee. d. All the cadets were train in Damage assessment and Disaster. e. At the end of the year, have 10 new cadets baptized. f. Create an academy or a training to connect the Master Guides with the MCCs.